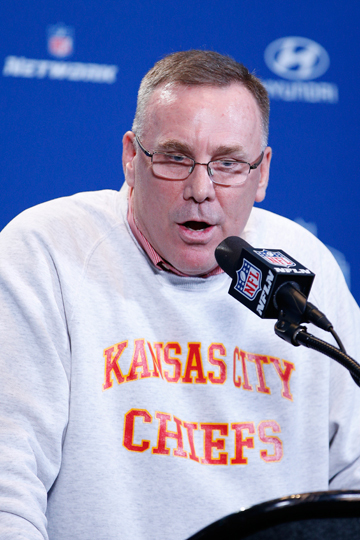 The John Dorsey Dismissal: Where It Went Wrong in K.C. The dismissal of Chiefs general manager John Dorsey was met, almost universally, with shock. Scouts and coaches who knew him in other NFL cities were actively trying to figure out what happened. Some with jobs in Kansas City were scrambling to put the pieces together. It wasn’t just the bizarre timing, either. This sort of thing normally doesn’t happen to a respected, well-liked football man like Dorsey. And it’s a credit to the Chiefs and Dorsey that no one saw it coming, like everyone did in similarly ill-timed plug-pullings in Washington and Buffalo earlier this year. We’re about to get to that. In this week’s Game Plan, we’ll delve into a couple real-world stories, one involving ex-Patriot/Chief Ryan O’Callaghan and another involving ex-Patriot/new Titan Logan Ryan; we’ll revisit where Zach Orr’s career took a wrong turn; we’ll jump back into why Cam Newton could be set to rebound in a big way; and we’ll go through a number of other of nuggets to prepare you for camp. But let’s start with the Chiefs. Though most people in that organization seem to maintain genuine affection for Dorsey, issues simmered there for almost two years. They began to boil over following the departure of director of football operations Chris Ballard in January, and came to a head at a most unusual juncture in the NFL calendar—the deadest time of the football year. Back in February, with the five-year deals of Dorsey and coach Andy Reid set to expire after the 2017 season, Chiefs chairman Clark Hunt told the Kansas City Star: “I would expect to sit down with them over the course of the next year and talk about an extension.” The Reid talks happened, and a deal was struck to keep him in Kansas City through the 2021 season. The Dorsey talks didn’t. So there are two questions to answer: 1) What changed? 2) How did Hunt see what few on the outside could, and what few on the inside thought would never reach the ownership level? The truth is, some of this traces back to a shift in the organizational model in 2013. Scott Pioli was the only person on the football side reporting to Hunt from 2009-12, and Hunt changed that, in part, because he wanted more oversight. So Reid, Dorsey and president Mark Donovan would all report to Hunt, as Hunt was determined not to let problems fester as they had with Pioli and ex-coach Todd Haley. In practice, that meant Hunt had a better view of the internal issues than many realized, particularly since Reid and Dorsey set up their football operation in the old Eagle model, with coaching and scouting somewhat sovereign to one another. Given the power each then wielded, the stock criticism of Dorsey—that while he’s incredibly respected as an evaluator, he’s more scout than manager—was validated with a level of disorganization that was noticeable before the hyper-organized Ballard departed, and obvious after he left for Indy. • The selection of Stanford quarterback Kevin Hogan in the fifth round of the 2016 draft. That move stunned scouts and coaches, based on the evaluation and meetings leading up to the draft. Hogan didn’t wind up making the team four months later, and started last season on the Browns’ practice squad. 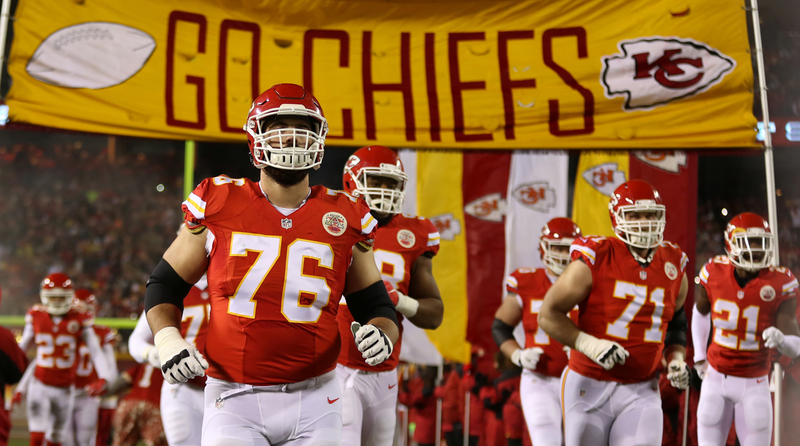 • The four-year, $48 million extension with left tackle Eric Fisher in August 2016. At the time of signing, Fisher had failed to entrench himself at the left tackle spot he was drafted to play. In fact, Fisher lost the job to Donald Stephenson during the 2015 season, and Fisher was flipped to the right side. The Chiefs still did the big contract, despite having a year left on Fisher’s rookie deal, and an option year after that. • The five-year, $41.25 million deal for guard Laurent Duvernay-Tardif in February. This deal came, like Fisher’s, in Duvernay-Tardif’s first offseason eligible for a second contract. Meanwhile, the Justin Houston and Eric Berry contract talks simmered—cap guru Trip MacCracken was let go last month—and the team has spent the past couple years perilously close to the salary cap. Others in the building saw signs of decisions becoming less collaborative, and more centered on Dorsey’s instincts. It also didn’t go unnoticed that Dorsey’s draft picks, like Fisher and Duvernay-Tardif, were the ones getting paid early. And the way the Jeremy Maclin release was handled—key members of the staff didn’t know until after it became public—didn’t help squash the internal whispering. This isn’t to say there weren’t decisions that were made with a roaring consensus from the team’s football operation. One such call was the one to pursue Texas Tech quarterback Patrick Mahomes in the draft. The Chiefs moved aggressively to make it happen. But too often, there were big moves made where scouts and coaches were left scratching their heads. It still bothers some close to Dorsey that Hunt caught wind of it, because there certainly weren’t many signs externally that the ax was about to drop. Some still maintain that it was right to keep these issues in-house, since they may have been fixable. The trouble with that, of course, was the Chiefs were going to have to sign up for another half-decade with Dorsey. And in the end, that’s something that Hunt wasn’t going to do. 1. The NFL has been vocal in the past about the possibility of legalized sports gambling coming to New Jersey. So its reluctance to comment on the issue Wednesday, as ferreted out by Pro Football Talk, was certainly noteworthy. 3. 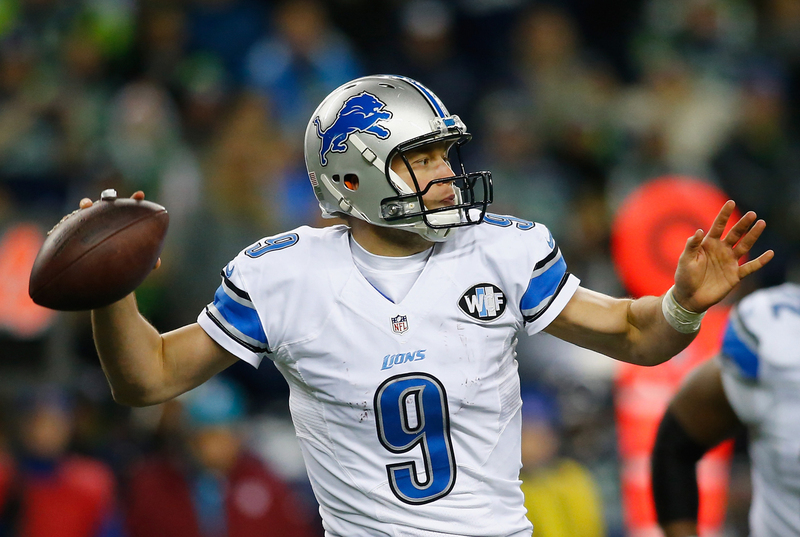 You’ll hear plenty about Matthew Stafford’s 2018 franchise tag number in the coming weeks. It’s $26.4 million, which gives him significantly more leverage in his contract talks than he’d have at the expected slotted number of $22 million. 4. You probably aren’t familiar with Titans director of player personnel Ryan Cowden, No. 2 to GM Jon Robinson in Nashville. But Cowden’s inclusion in the K.C. search makes sense, because he’s known to be organized and detail-oriented. 5. The leader for the job still seems to be co-director of player personnel Brett Veach, who is young, enthusiastic and energetic. The question with him is how he would handle working in the office day-to-day, since his background is largely as a road scout. 6. Whether Christian Hackenberg is ready to start in Week 1 is an open question. But the Jets like what he’s done in overhauling his footwork with QB coach Jeremy Bates. He’s not consistent enough yet, but there’s been progress. 7. I mentioned this before, but it bears repeating: If Leonard Fournette, Cam Robinson and Branden Albert give the Jags the image makeover that Doug Marrone envisions, the Jags will get a much cleaner read on where Blake Bortles is in Year 4. And the franchise will be able to make a more informed call on Bortles in 2018. 8. Atlanta’s Devonta Freeman will likely get his big contract. But running back deals are complicated now for the same reason receiver deals were a few years ago. Just like there was a gap between Calvin Johnson and the next highest paid receiver, there’s a cavern between what old standard bearer Adrian Peterson was paid ($14 million per) and what Shady McCoy makes ($8 million per). 9. And so it’s going to be challenging for the Steelers and Le’Veon Bell to beat the July 17 deadline for franchise-tagged guys to do long-term deals. He’s tagged at $12.1 million, giving him little motivation to take a deal in the McCoy range. 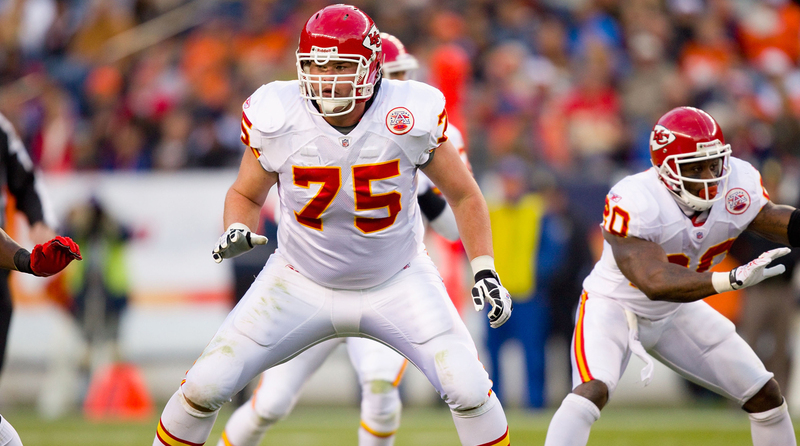 Ryan O’Callaghan played four NFL seasons—two with the Patriots in 2006-07 and two with the Chiefs in 2008-09. 1. Read closely what Ryan O’Callaghan said. First, I’ll join the chorus in giving Ryan O’Callaghan the well-deserved credit he’s gotten over the past week. What he did wasn’t just courageous, it was important. The former Patriot and Chief may well have saved some lives in telling his story, and there’s nothing more commendable than that. Credit too to ex-Chiefs GM Scott Pioli, who showed a side of himself in the story that those who know him well see more often, and OutSports writer Cyd Zeigler, for artfully telling the tale. When I asked someone close to O’Callaghan this week about how far the NFL has come, and whether it was a sign that the league would be accepting of openly gay players, it was pointed out to me exactly what language O’Callaghan used with our Greg Bishop in this week’s Monday Morning Quarterback. The quote: “I can’t remember hearing a gay slur in the locker room … Football players are more open-minded than people give them credit for.” Notice that O’Callaghan, and not by accident, cited the “locker room” and “players.” That was his way of illustrating where the league has made its progress. The new generation is more accepting. And so now, with the majority of the NFL’s nearly 2000 players born in the ’90s, it’s not surprising that the idea of a prominent player coming out would be feasible. On the flip side, some old attitudes still exist outside the player ranks, and that too relates directly to age. So could a player like O’Callaghan come out in 2017? Yes is the answer I got back from people who would know, with a bit of a caveat. Each locker room has its own culture and feel, and those are largely set by the coaches and general managers who are in charge of choosing the types of guys they want. That is to say it may be easier for a player to do it in one place than another, based on the older people who are setting the tone and building the makeup of the roster. And it’d help if it’s a player who’s good on the field and established in the league, too, since the noise is going to be there. Do I think it’d be a problem most places in the NFL, based on what I’ve seen and what I know of players? I do not. I think it’d be a talking point for a few days, then it would be back to business as usual. 2. Cam Newton’s next steps. The Panthers website put out the equivalent of a hype video to show that their franchise quarterback—three months after shoulder surgery—is back throwing. The clip of Newton playing catch with head athletic trainer Ryan Vermillion in the Carolina locker room didn’t tell us much more than that, but this is a pretty good sign that the Panthers will have Newton ready to go when they pack up for Spartanburg, S.C. in late July. Newton told the team site that he still has range-of-motion issues to work through, “but seeing the ball come out of my hand in a throwing motion was good.” And getting him out there in camp will be better, because a big part of getting Newton back to where he was during his MVP season of 2015 will be rebuilding his confidence in everything around him, his health being part of that. As the coaches saw it, the precipitous decline in Newton’s numbers happened in large part because of the deterioration of the offensive line in front of him. A big piece of Newton’s game has always been his ability to hold the ball, buy time, and strike downfield – all of which was compromised when the injury bug hit the Panthers’ front, which forced shuffling, most notably in pushing right tackle Mike Remmers to the left to protect his blindside. Basically, Newton got knocked around, then stopped trusting what was in front of him, and lost a vital element of who he is as a quarterback as a result of all of that. So when the Panthers get to camp, there are two pieces to getting Newton back to where he needs to be. First, he’ll need to feel confident enough in a line rebuilt around free agent left tackle Matt Kalil and holdovers Trai Turner and Ryan Kalil that he can play his game. Second, it’s being sure his shoulder feels strong enough to where he’s good on his arm cashing the checks that his mind will be writing. Outside of that, the Panthers got what they needed out of Newton in the spring—he worked in individual drills (but not team, though he had the radio to get the calls throughout) and was as integral as ever in meetings and classroom work. 3. The risk that Zach Orr is taking. The Ravens weren’t caught off-guard by Zach Orr’s un-retirement announcement on NFL Network on Wednesday morning. They’ve actually known about his desire to give it a go for a couple months. And I can tell you that they love Orr as a player and a person, and people there will be rooting for him if he lands a job in the next few weeks (or days). He’s with Lions on Thursday, and there’s been no lack of interest in his services. But there’s also a healthy fear of the risk associated with his congenital neck/spine condition. Orr actually played for six weeks with a fractured shoulder last November and December, and wound up tearing his labrum and injuring his biceps tendon as a result. It was only after a hit left him numb during the Christmas Day game against Pittsburgh, and he struggled in the days to follow, that he got the MRI that led to the CT scan that revealed the larger issue. As you might imagine, the 25-year-old’s toughness was widely viewed as being beyond reproach in Baltimore. And so, if Orr successfully jumps back into football, it’s fair to wonder if that’ll work against him in managing a condition that could leave him paralyzed or worse. Doctors have told Orr that the strength of the tendons and ligaments should protect his C1 vertebra (which is only 80 percent formed), and that’s why Orr was able to get the green light to play. Also, people who know him don’t believe this is a play to get paid, and that Orr’s motivation is simply his love for football. But my sense is those people also are nervous about what’s ahead. And it’s hard to blame them for that. 4. Cowboys pass-rush takes yet another hit. Attrition pounded the Dallas secondary in March, with three of the five guys who started in the defensive backfield in the divisional playoffs now gone. But through the team’s spring work, internally, the pass rush has grown into a much bigger concern, and the suspension of David Irving, announced Wednesday by the league, certainly won’t help. While it became clear early in May that rookies Chidobe Awuzie and Jourdan Lewis would be able to help fill in the blanks left by the free-agent exodus, what’s left up front remains muddy and the Cowboys have themselves to blame for that, because that’s where they’ve tried to cut corners. Irving and DeMarcus Lawrence both served suspensions as collegians, and Randy Gregory plummeted on draft day because of his drug issues and doubts about his mental state. And now all three have been suspended as pros. Irving was actually off the Cowboys’ draft board in 2015 after he was tossed from Iowa State’s team in 2014, and Lawrence is the only one of the three set to be available on opening day. And that’s without even mentioning the failed Greg Hardy experiment. Having had Charles Haley and DeMarcus Ware, no one knows the value of an edge rusher better than Jerry Jones, and he also knows how hard it is to find one without drafting him high. So Jones, and the team, tried to get “creative” in finding one. The result? Dallas now needs first-round pick Taco Charlton to grow up in a hurry, because it sure looks like a very talented roster might have a fatal flaw. 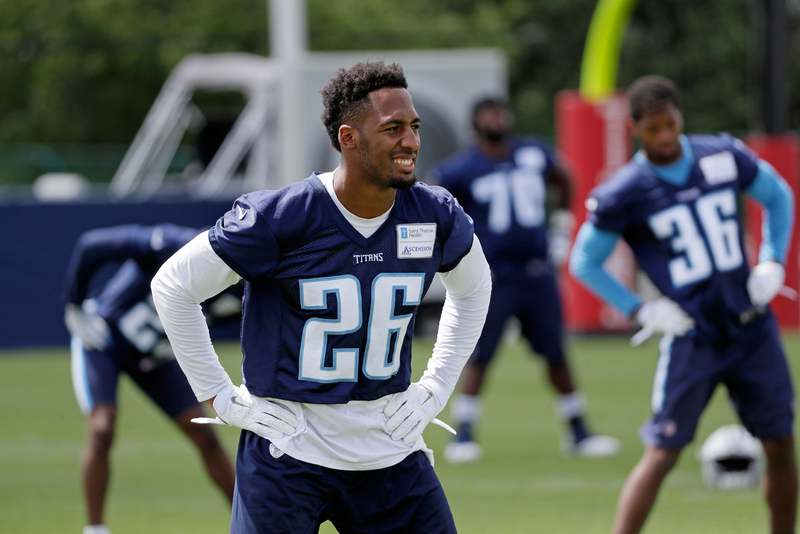 Here’s a story that I wish wouldn’t fly under the radar: New Titans corner Logan Ryan gave a little chunk of his three-year, $30 million deal to his big brother Jordan earlier this week. And if you’re thinking this is a run-of-the-mill, athlete-hooks-up-his-family story, you should keep reading, because what Ryan did goes well beyond just cutting an $82,000 check. Jordan Ryan accumulated student loans well into six figures spending five years earning an engineering degree at Drexel, and the money his younger brother gave him will take care of what’s left of that now. Getting that debt off the ledger would be a huge relief for anyone, of course. But as Logan sees it, this is more than just that. It’s also righting a wrong. “It’s an endless cycle people get into,” Ryan said over the phone Wednesday. “Here’s a guy who’s passionate about something that’s not sports—and I’m passionate about what I do too; we’re go-getters—and he does everything right. Goes to a top university, graduates effortlessly. Makes it look easy getting an engineering degree, and I know I couldn’t do it. So here’s my offseason lesson for the week: There are good stories like this that should be told. On the podcast in early June, we did a series with Dolphins DE Andre Branch, Patriots OLB Rob Ninkovich, and Saints RT Zach Strief on leveraging playing football into post-playing careers. This is different, of course, but it’s another example of a guy in the league who’s leveraging his NFL career in a really good and productive way, and sending a powerful message. It’s bolstered by the fact that Logan Ryan, during his time with the Patriots, went back to get his degree from Rutgers after leaving school a year early to pursue pro football. And the story of how he gave his brother the money was pretty cool, too. Jordan’s birthday was last Saturday and Jordan’s wife Jennifer’s birthday was the day after. Logan couldn’t get back to his native South Jersey in time to celebrate, so he asked if Jordan would meet him at their parents’ house on Tuesday for pizza and wings. Jordan agreed, but was coming off a bad day at work when he got there. First, Logan gave his brother a bottle of Jack Daniels, and sister-in-law a bottle of wine, and then his parents gave him a smoker. Logan told Jordan he had one more present. And he blindfolded Jordan—and had to tell him it wasn’t a prank, and he wouldn’t throw him in the pool. Out came a giant check from the shed, off came the blindfold, and down came the tears as the family showered Jordan with confetti. It’s not just the money, either. There’s also the residual effect that he and his father, Lester, talked about this act of generosity having when Logan first brought up the idea as the two drove from Arizona, where Logan was training, to Nashville to sign his contract in March. And there’ll eventually be the lesson that, years from now, Ryan and his wife Ashley will be able to teach their 2-year-old daughter, Ashley, on education with the weight of their investment behind it. It’s just a really good story, and one we all can hope will be repeated, as Jordan—now working the job in architectural design that he’d envisioned doing in college—gets to enjoy the financial freedom that a lot of college graduates are struggling to attain. “When I saw it blow up (on Instagram), I was like, ‘No one has done this?’,” Ryan said. “My brother, he helped me put on my shoulder pads for the first time. And as an older brother, he knows everyone knows what I do for a living. He’s behind the scenes and that’s how he likes it, but he’s been supporting me since Day 1. He was on varsity before me, I was always chasing him, trying to be like my older brother.